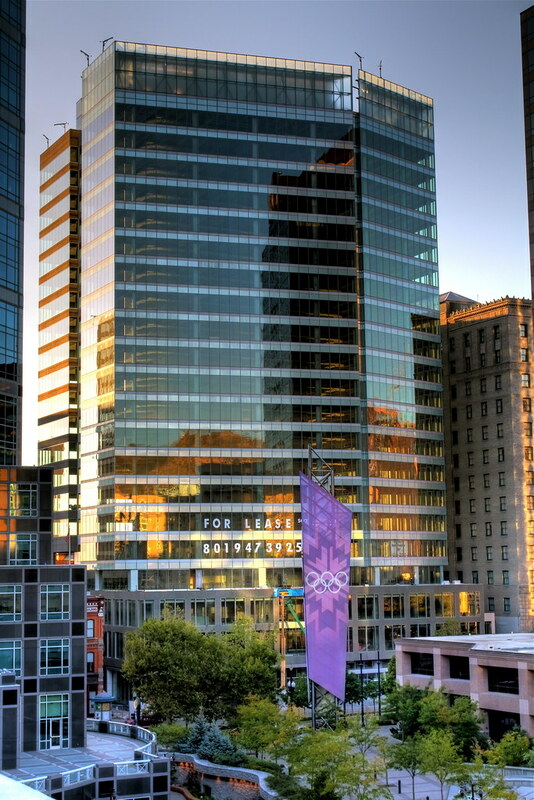 Our newest high-rise here in Salt Lake City is located at 222 South Main. It is a very beautiful design. The building is owned by Hamilton Partners. They have made a very large investment in Salt Lake City. They have purchased and renovated the old Boston Building, which is also on Main Street and they also own the 2 old buildings directly south of the new 222 South Main. This building will be completed in December of this year. There is a 7 level parking garage directly behind the building. The building was designed by SOM, which is also the architecture firm of the Burj Dubai, Trump Tower in Chicago and the Sears Tower.